Just one look at “Touchable Sound: A collection of 7″ records from the USA” will make you realize why vinyl as a format has made such a resurgence as of late. 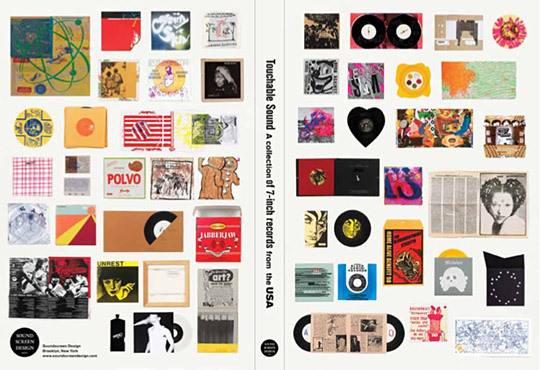 The book elegantly organizes and captures the spirit of small-release, DIY vinyl design with full-color images throughout as well as informative interviews with those that witnessed, celebrated, and informed the culture. Curated by Brian Roettinger, Mike Treff, Diego Hadis, and published by Soundscreen Design, the book itself is an example of the artistic integrity and aesthetic sense that characterizes its subject matter. Available here.